Gwen Stefani rocked a a chick outfit as she attended the 2014 People Magazine Awards held at The Beverly Hilton Hotel on Thursday evening December 18 in Beverly Hills, California. The rock star wore an Alexandre Vauthier Fall 2014 Couture Top on a black singlet with a matching Alexandre Vauthier Fall 2014 Couture Pants which she then finished up with a Christian Louboutin So Kate Pumps that features a black patent leather,pointed toe,low cut vamp and a 120mm heel height. So many stars are huge fans of the so Kate pumps and i think these pumps ain't going anywhere any time soon. Am so in love in love with this pumps..all i want for Christmas is a so Kate pumps...#eyeswideopen. 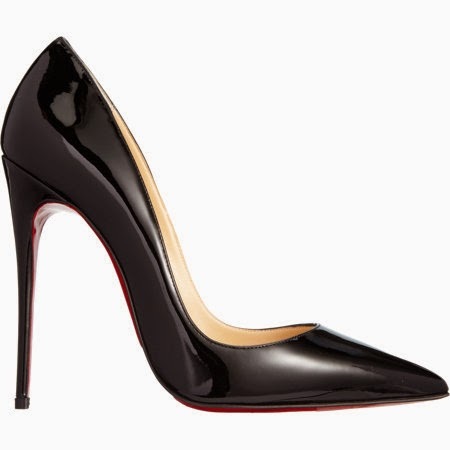 These pumps can be purchase at Christian Louboutin.